As I have mentioned numerous times before I have acne prone skin and have done for at least eight years now. All I want is clear skin, is that really too much to ask for? I have used many different acne treatments to help prevent and fight off the spots but I've never truly found a product that keeps my skin clear for a long period of time. For the last year or so I have been alternating between two products, Avene Cleanance Expert Emulsion and La Roche-Posay Effaclar Duo+. If you don't know of La Roche-Posay it is a very well known french skincare brand that caters for every skin concern. They have an Effaclar range which is suited towards those with imperfections and acne prone skin like me. 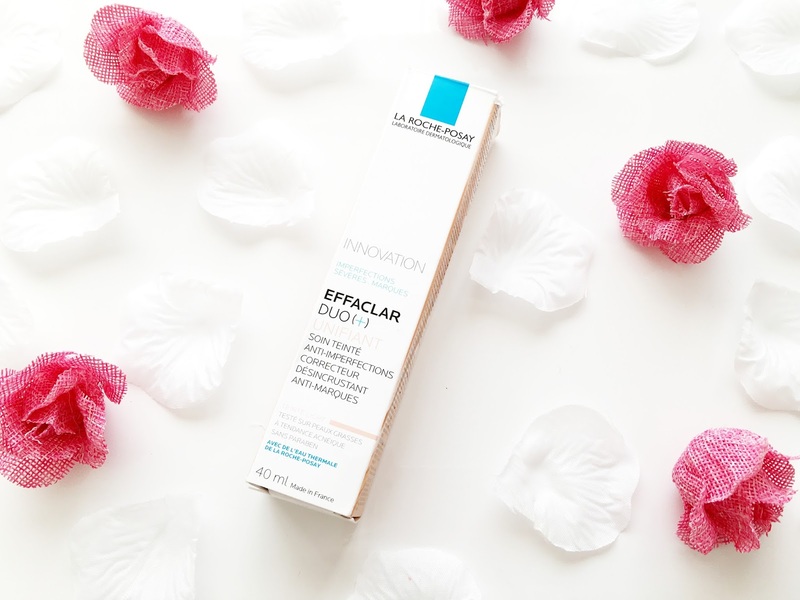 La Roche-Posay Effaclar Duo+ is a blemish control treatment and reformulation of the original and the very first skincare treatment that I felt made a difference to my skin and my confidence. You can find out more about that here. 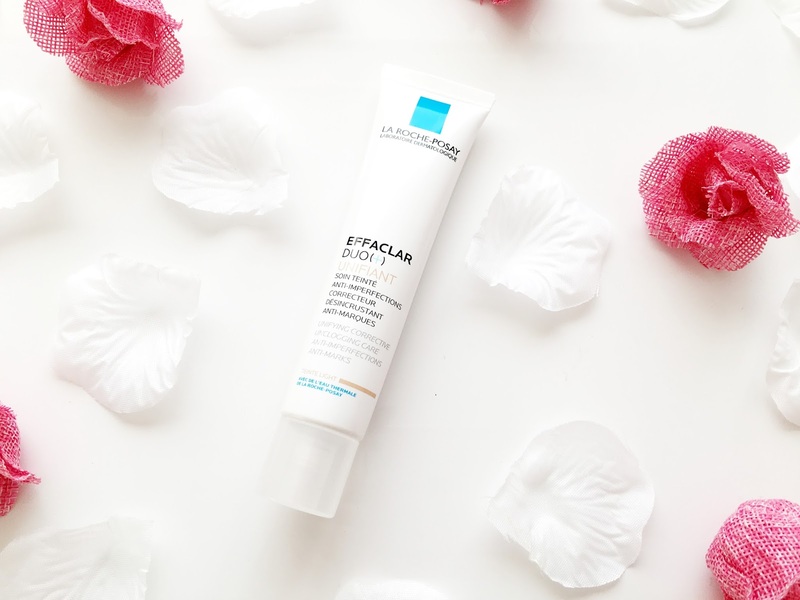 Back in July La Roche-Posay introduced the Effaclar Duo+ Unifiant which is essentially a non-comedogenic spot treatment and BB cream in one. It has the same formula as the Effaclar Duo+ but with purified mineral pigments that gives a lovely tint to the skin and smoothes and evens out the skin tone. There are two shades of the La Roche-Posay Effaclar Duo+ Unifiant, Fair-Light and Light-Medium, but I have the Fair-Light shade. It does appear a little dark but once blended into the skin that doesn't seem to be a problem. 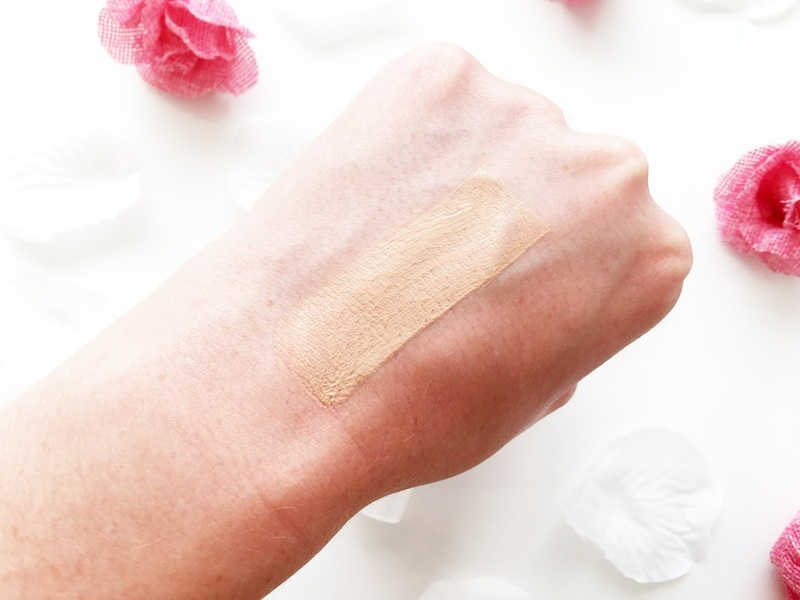 It has somewhat of a sheer but natural coverage as you'd expect, with a light, thin creamy texture that settles down to a semi matte finish. It blends every so well once applied onto the skin. I like to apply it with a damp brush works sponge to blend it in and distribute the product out evenly. As it is a light coverage I like to use it on it's own with some concealer to cover up blemishes, but sometimes I use it underneath as a primer for foundation for an extra bit of coverage. It is a necessity in my makeup routine lately. It gives my skin the right amount of coverage without blocking the pores whilst still preventing and treating breakouts to keep the skin visibly clear. It doesn't leave any acne scarring behind which gets a huge thumbs up from me. I have quite a few scars that were left behind after multiple use of a particular spot treatment in the past which put a dent in my confidence and changed the way I felt in my own skin. With this I can feel confident that it's not going to give me anymore scarring, plus it reduces any inflammation and redness on my face too. I love it! It feels lightweight on the skin as well so it doesn't feel like you have anything on which is a good thing and it'll save you time on your makeup routine too. You can just pop it on your face in a minute or two, slick some mascara and lipstick on and you're good to go. I am so glad I've discovered it. It is an absolute must have for me. I would highly recommend it to any of you that perhaps have mild to moderate acne and even scarring too. It's a multi purpose product that really makes a difference. The La Roche-Posay Effaclar Duo+ Unifiant is £16.50 and you can purchase it from Escentual here. La Roche-Posay is also available to buy from Boots, Look Fantastic and Feel Unique too. Have you tried the La Roche-Posay Effaclar Duo+ Unifiant?